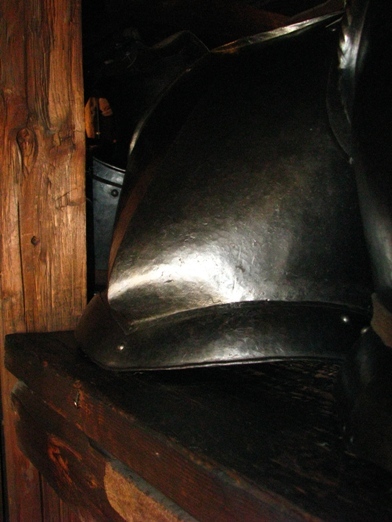 I've just returned from Graz in Austria where I visited the museum (also known as Styrian armoury) in which you can see over 30.000 pieces of 16th century arms and armour. Most of breastplates i've seen had a strange bulge at the bottom. 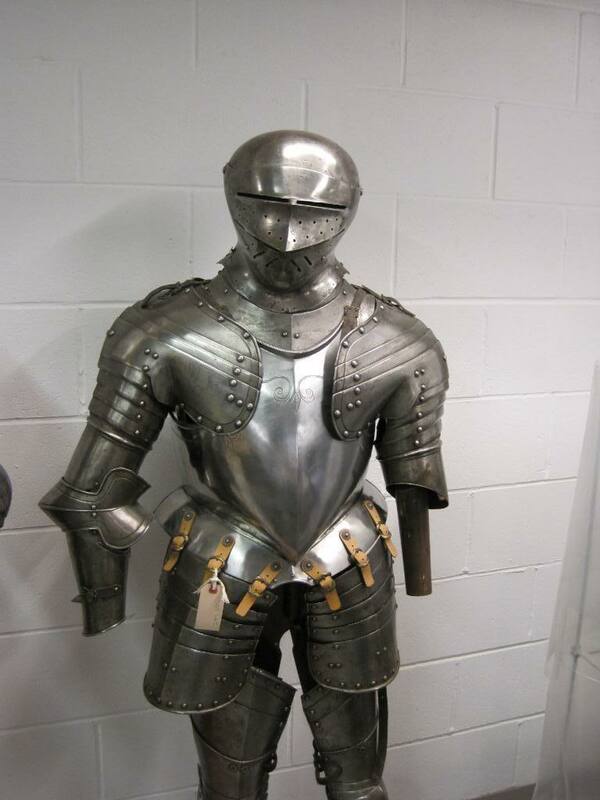 I think its purpose was to deflect lances or more probably bullets but i'm not sure about it since another example (16th century too) I've seen in the book "Medieval arms and armor - pictorial archieve" seems to deflect low blows towards the groin. If anyone has any ideas please share them! A place to put a pot belly comes to mind ... however. I offer this instead. It could well be a means to add angle where there was little or none. It would provide additional thickness too. The same reasons armored vehicles today us angle. The style is known as a peascod breast plate. Correct me if I'm wrong but I believe it was more of a fashion than any functional purpose, aiming to emulate the shape of doublets of the period. different harness to pervious and but as clear but was more pronounced. It mimics the design of the doublets fashionable at the time. 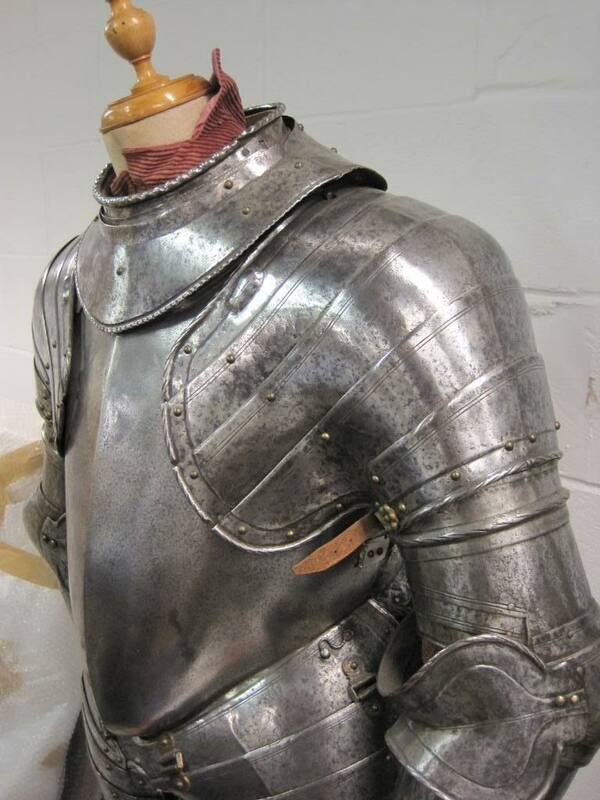 Alternatively, it could be that doublets that became fashionable at the time mimicked the breastplates. Looking at the developement of armour and the changes in fashion in the 14th-16th centuries, it really seems to me that advances in armour technology led to different silhouettes and body shapes, which were then mimicked by civilian fashions. Considering the importance of the military class during these centuries, this seems quite reasonable to me. The peascod is an excellent example. From a functional perspective, it makes perfect sense on a breastplate, but there was not much prescedent for it in the fashion world. The earlier "pigeon-breasted" silhouette, I believe, is another good example. 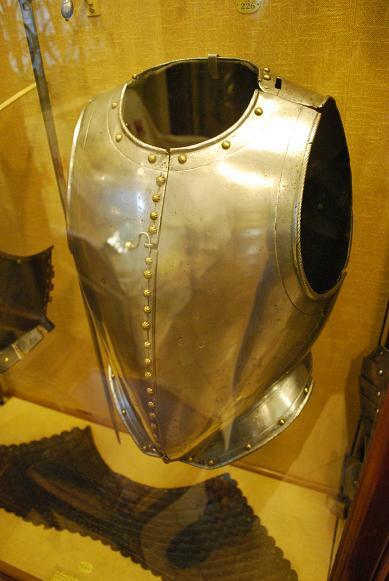 Initially, the shape would allow more flexibility in the heavy gambeson, mail and plate reinforcement armor of the time as well as assisting in distributing more weight to the hips and less on the shoulders, and once the shape became associated with all that was good and knightly, it was copied in civilian clothes. That is my theory anyways. What do you all think, could the armor follows fashion theory be completely backwards? Could it be that military advances led the way and fashion followed? Now...it has been years. Memory and time being inversely related! But I recall a conversation with Patrick Thaden and yes...emulated/connected with fashion. But! That was not the whole entent behind the configuration. There was a functional aspect as well as the profiles shed blades very well. And of course a nifty side bar was that in the day - it was cool looking. Which came first? What drove what? Patrick also mentioned something about the work involved and again do not quote me, but..this style was actually easier to make than many others. And, since Patrick has obviously been there and done that - I trust his input. Chicken before the egg...got no clue. 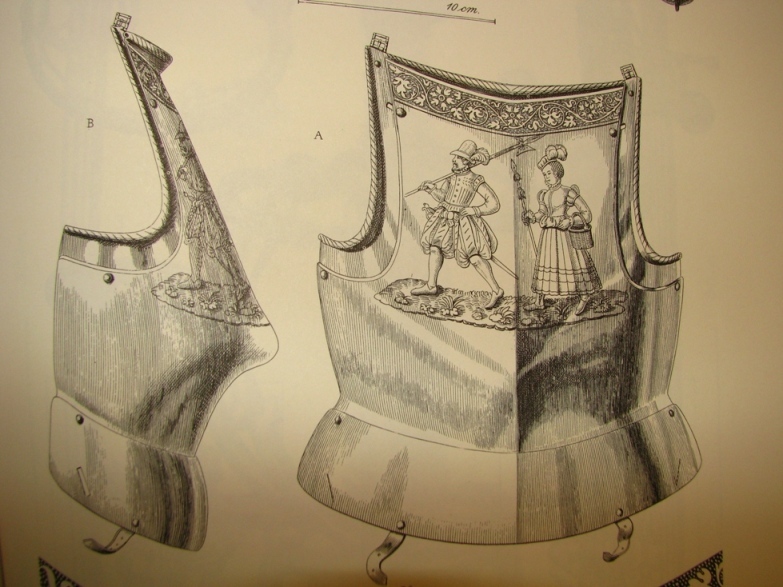 These are some pretty good evidence that the breastplates were meant to look like doublets. You don't normally need decorative buttons on a breastplate. That is a fantastic waistcoat picture! Any details on that first one in your post? Those were pictures I took in the Wallace Collection in London. They have an excellent online collection tool. This is their entry for the second one. You will also find more there as this other picture of mine that didn't come out too well shows. Also all of the photos I have put up are only a quarter of the size of the actual ones I took so if you would like more details I can email them to you. 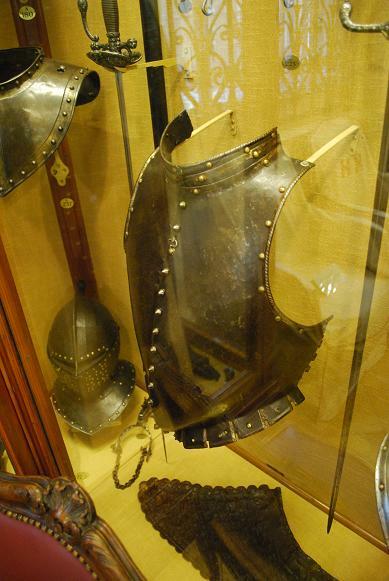 The ones with front closures and decorative buttons are likely not field armour, but armour for show and/or light protection in street fights. Thanks guys. Tomas, sent a PM and Chad thank you for the input. I think we covered this some months back. At least a tangent anyway. Good info. and lets not forget that gothic and italian developed for mostly stylistic reasons rather than being good against different weapons. Uh...thank you - I guess for reminding me about camo print! I teach college in a larger city in MO and dwell in the Ozarks.